Provides oversight in areas of operations, construction, and asset management. Chan has a distinguished history of cooperation with public, private, and non-profit agencies. 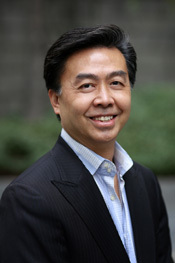 During the 1980s and 1990s, Chan was extremely active in the East Bay real estate market, developing nearly a dozen projects in Oakland alone. He played a key role in rehabilitations connected to Resolution Trust Corporation projects following the S & L Crisis. He also led neighborhood revitalization projects in downtown Oakland areas such as Chinatown and Old Oakland. Chan is also a well-known figure in the Bay Area Chinese community, with strong professional and social ties to several generations of community leaders. He received a B.S. degree in Chemistry from California State University at Hayward.